Kyushu is home to beautiful beaches, smoking volcanoes, bubbling hot springs—and a whole lot more! In my early 20s, I decided to use my summer holiday to travel the coast of Iwate on my own. I bought the JR Seishun 18 Ticket, which meant I had free range of almost all the JR stations in Japan—and I chose Miyako as my first stop. If you want to visit a place in Japan with true traditional and rural elements, then you should go to Takayama. 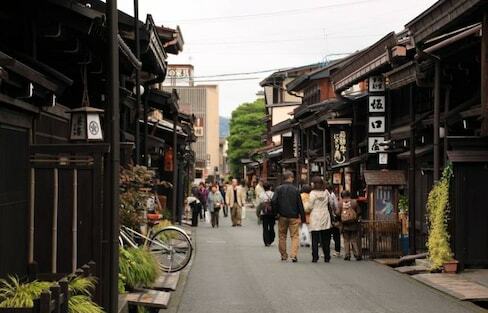 It's one of the rare cities in Japan with a wonderfully preserved old town. Discover a gorgeous traditional inn located in this peaceful Yamaguchi city, then visit the largest limestone cave in the Orient. Love is in the air! Whether found in nature or built by design, your heart will be filled to bursting when you catch a glimpse of these heart-shaped spots throughout the country, just begging to be photographed! Here are three great options in the Kumamoto area if you're looking to reconnect with creatures past and present, as well as the earth below! Blessed with an abundance of beautiful natural sights, this island is only a short 60 minute train ride away from the hustle and bustle of central Tokyo. We take a stab at answering the perennial question, 'Where can I get the best view of Mount Fuji?' Here are our 21 best answers. Big, small, weird, wonderful, and beautiful! 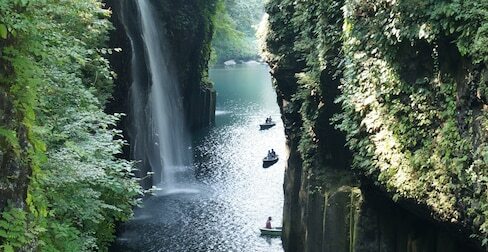 Welcome to the world of caving in Tohoku! People come to the Akiyoshi Plateau in Yamaguchi Prefecture to watch rolling grasslands burn with strips of open flame, and to explore the famous giant cave and fascinating geology of the Quasi-National Park. Head to central Japan to recharge your batteries at this incredible power spot, and have the best freshwater eel you've ever tasted while there! What Exactly Are Japanese Power Spots? Heard the buzzword 'power spot' but not sure what it means exactly? We'll fill you in! Travel in Boots' Ada Wilkinson headed out to mark the start of autumn color season with Mount Fuji, thatched roofs and a bat cave. Follow along with Wendell as he explores the Tohoku Pacific Coast from the northeastern city of Hachinohe all the way down to Sendai, marking his favorite sights along the way. Okinawa Prefecture is full of smaller islands with stunning nature and beaches. 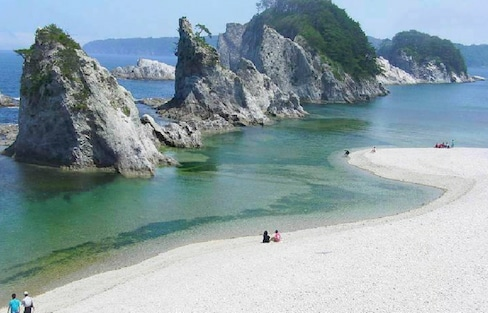 Why not take a quick trip away from the busy capital of Naha and find a secluded beach all to yourself? Ishigaki Island is home to some of the best spots to visit in Japan, and we've got five incredible places for you to check out while you're in the area! This system of caves beneath the surface of Mount Fuji are believed to represent the womb of Konohana Sakuya-hime, the goddess of the mountain. And you can climb right inside! Japanese Countryside , TOHOKU I found it! Get out of the big cities and experience the thrilling rural life in Iwate Prefecture.